For generations the sacredness of dreams has been affirmed throughout the world. In sacred text, by word of mouth, in the lyrics of songs – – – the stories of dreams as messengers from the spirit world and the Divine endure. What if the stories are true? What if dreams represent a largely untapped resource that could transform your life and relationships? After all – everyone dreams, every night. For the past 40 years the author, Wesley Wyatt, has tested the premise that the Divine provides inspiration, guidance and reassurance through dreams to anyone who is receptive. 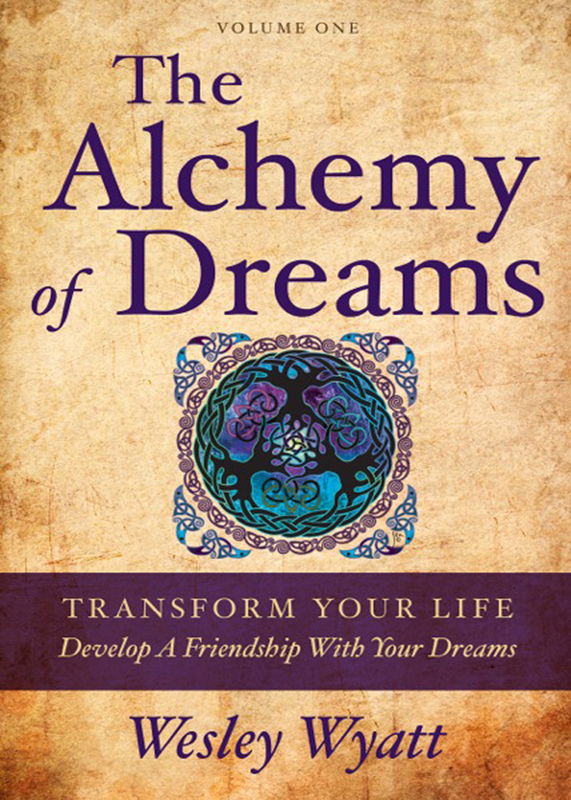 In this, the first of three books in The Alchemy of Dreams Series, Wyatt provides a rich and nuanced discourse on the potential of dreams, the language of symbolism and dream interpretation. Utilizing the psychic readings of Edgar Cayce the author provides practical tools for accessing the inspiration and counsel offered in dreams. * Increase your recall of dreams. * Discover the causes and meaning of repetitive and disturbing dreams. * Learn how dreams can assist you in expressing your true nature and aptitudes. * Deepen your understanding of the language of the soul – symbolism. * Learn specific techniques for translating the personalized symbolism in your dreams. * Learn to ‘incubate’ a dream on a specific concern. Utilizing the insights and inspiration Wyatt has gleaned from thousands of his own dreams The Alchemy of Dreams Series utilizes an experiential approach to teach practical skills for deciphering the personal symbolism found within dreams. You can purchase the book online from Amazon or Smashwords in multiple eBook formats at http://www.smashwords.com/books/view/394497.